You are currently browsing the archives for the Legends category. 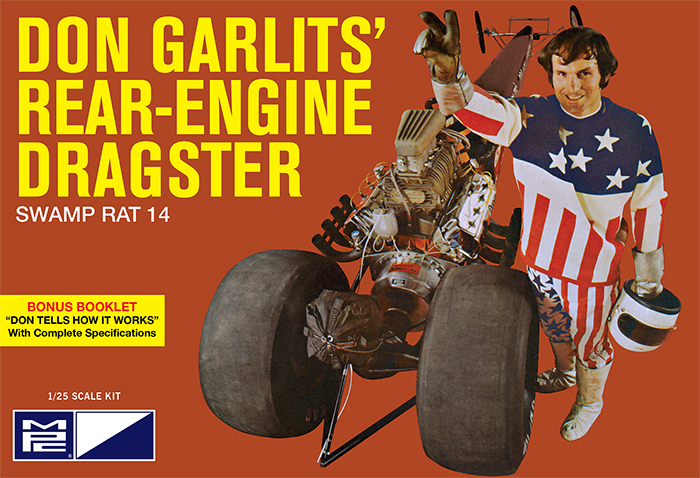 When Don Garlits proved that the rear engine AA Top Fuel setup was the way of the future, it didn’t take long for everyone else to follow suit. However, when Don “The Snake” Prudhomme decided to build a rear engine car, he went one step further and created one of the more unusual Top Fuel cars of the 1970’s. 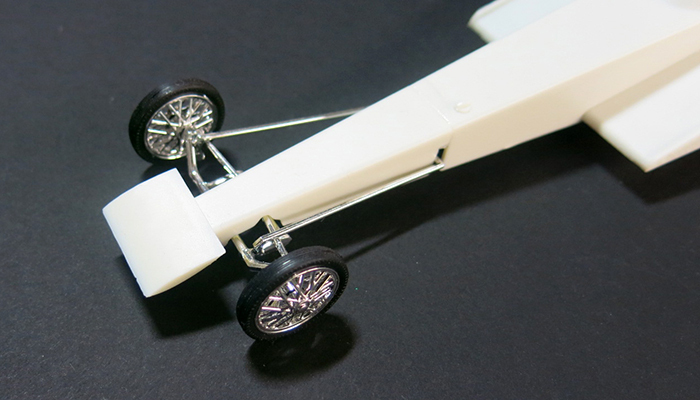 His way-out wedge design attempted to add additional downforce with a lightweight, magnesium “wedge” body section coupled with a long 220 inch wheelbase. 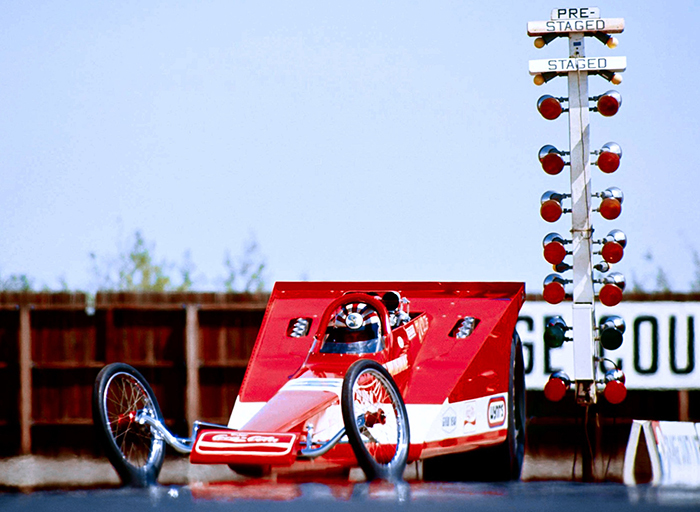 While the setup was great in theory, setting decent initial E.T’s, it proved to be slower than Prudhomme had hoped and the car eventually shed the wedge for a more traditional rear engine dragster body. When we retooled AMT’s Flying Wedge Dragster last year, we took the opportunity to tool an additional wedge body to match Prudhomme’s car. His had some variations like the vents on the cowling behind the engine, in addition that during the testing process of the real car, the exhaust openings were covered as the headers were re-routed to under the wedge itself. We’ve tooled new optional under-body headers, and the flat panels that covered the original thru-body header ports. 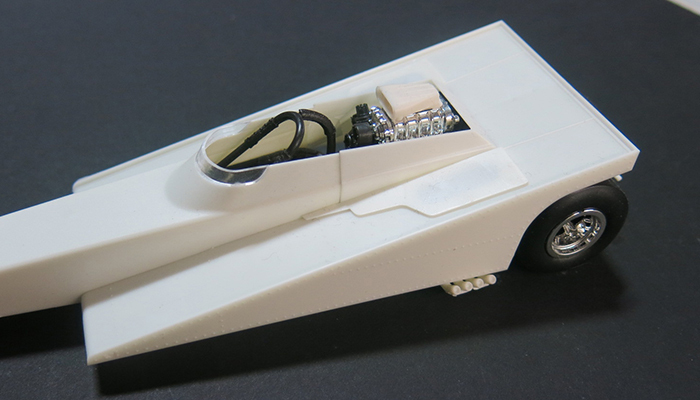 You have the option to build the car as it was originally configured, or as setup later. 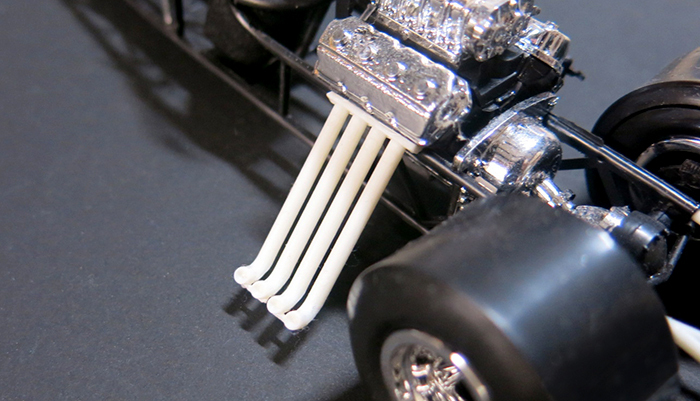 We’ve also tooled an optional push bar setup, as that also changed during the course of the car’s run. 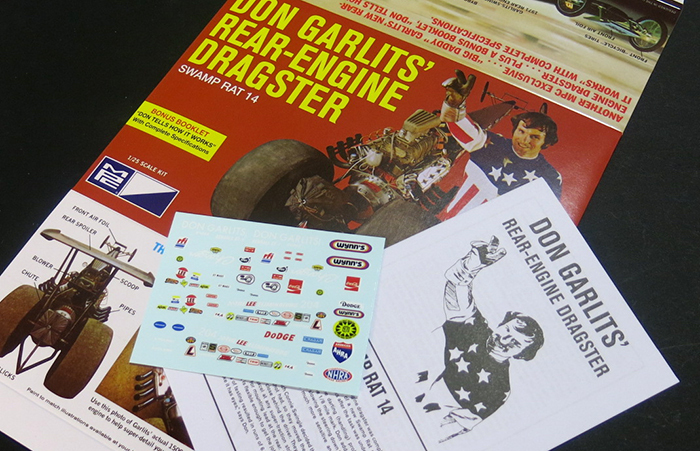 We’re really excited about this release and the kit will feature accurate and complete decals, a photo booklet with fantastic photos from legendary drag photographer Steve Reyes, plus an all-new painting by one of the AMT’s original Kats, Don Greer! The World’s Fastest Animal: Tom “The Mongoose” McEwen’s Top Fuel Dragster from MPC! Hot on the heels of our release of Don “The Snake” Prudhomme’s 1972 Yellow Feather Top Fuel Dragster, we’re getting ready to produce the car that was raced by Don’s famous rival, Tom “The Mongoose” McEwen. This pair of drag racers brought modern showmanship and marketing to the sport with their match races and rivalry and paired that with sponsorship from Hot Wheels and made history in the process. 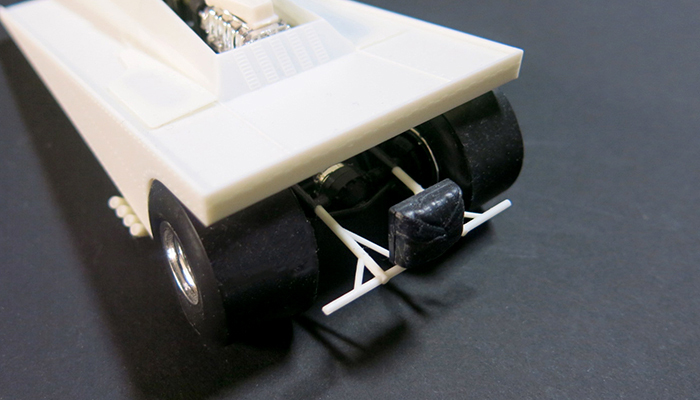 Now you can build and display both The Snake and The Mongoose in all of their 1972 glory. Just like the Yellow Feather kit, MPC’s Mongoose top fueler features newly-tooled rear wing struts and injector scoop, along with pad-printed rear drag slicks. Plus, as both a collectible and guide for the serious modeler, the kit includes a color photo booklet features great images taken by famous drag photographer Steve Reyes with additional image supplied by McEwen himself! 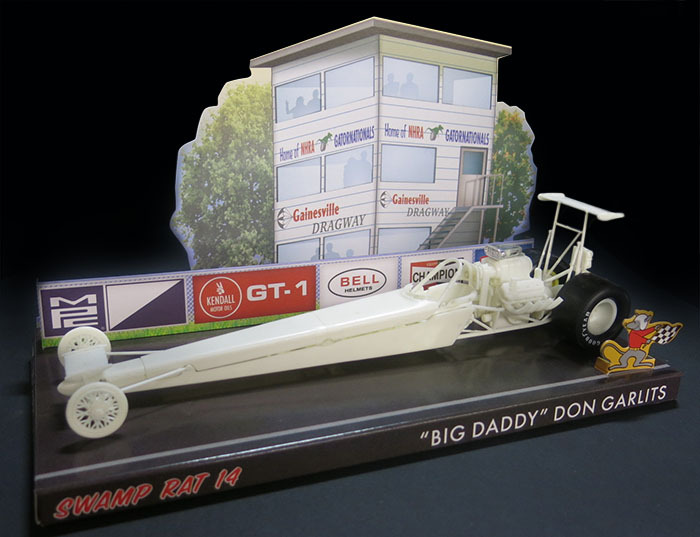 We’re also including a display base to show off your finished kit and while we featured a backdrop from Lions Drag Strip in the The Snake’s dragster, this time the base replicates another of California’s famous tracks – Orange County International Raceway. Slated for a December release, be sure to catch this Mongoose when it hits the shelves!